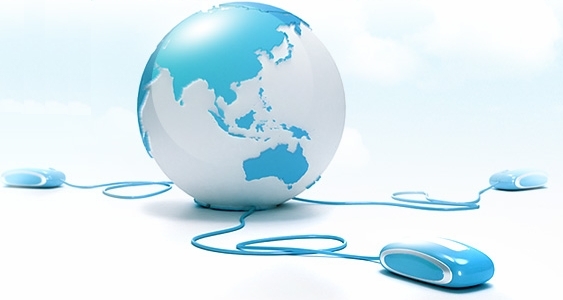 File transfer speeds will vary depending on the speed of the internet connection between devices and the number and size of the files being transferred. Transfers can also be resumed if the connection drops out. The only caveat here is that it requires the computer with the files to be transferred to be turned on at the time and during the transfer. Which kind of makes sense of why a file transfer program has a chat feature - so you can see when people you're exchanging files with are online. An application like Binfer is not something that I would use very often. Being a solo creator it's rare that I need to transfer large files over the internet. However I would find it useful for sending copies of completed animated videos to my clients. The good thing is that my clients would not have to install Binfer (or anything for that matter) in order to receive the file. All they need is a modern web browser. To send a file from the desktop you just send an email to your recipient right from within the application. 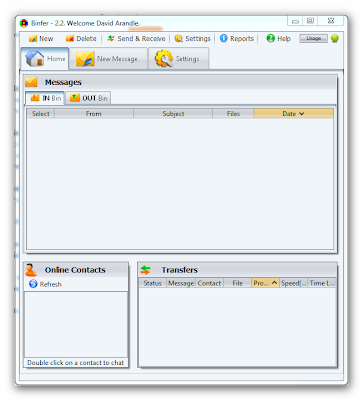 They receive the email with a link to the Binfer web site where they can initiate the file transfer by clicking a link. For this review I thought I'd test out Binfer's ability to transfer files to and from a mobile device. I have a seven inch, Android 2.2 tablet that I use for playing videos. It also has a camera from which I can record video. First up I sent a 13MB MP4 video file from the Binfer desktop application to the tablet simply by sending a message to my gmail account. I then accessed my gmail account on my tablet clicked the link and downloaded the file from my desktop computer through Binfer's site (noting that you only initiate the transfer from Binfer's site. The file its-self is not stored on the site). The file took about 5-6 minutes to transfer. I then used the Binfer website to transfer 1MB 3GP video file from my tablet back to my desktop. Which I realize is a very small file but I really just wanted to go through the process. Entering my Binfer login email address meant the message and file went straight to the Binfer desktop application and appeared there within a few minutes. Whilst these transfers weren't exactly a strain on the software it does demonstrate how you could use Binfer to extend your network, keeping your home or work desktop switched on then using internet connected mobile devices to transfer files back as you work. Initially I found this application to be a little confusing (I didn't really understand that you can send a file to any email address, not just people in your contacts), but once I understood how the messaging system worked to transfer files it was very easy to use. I could certainly see how Binfer would be especially useful to anyone working collaboratively over the internet from different geographic locations. Not having to wait for a file to upload to a server before you can then download it would also save a considerable amount of time on medium to large files. There's not too much else to say. 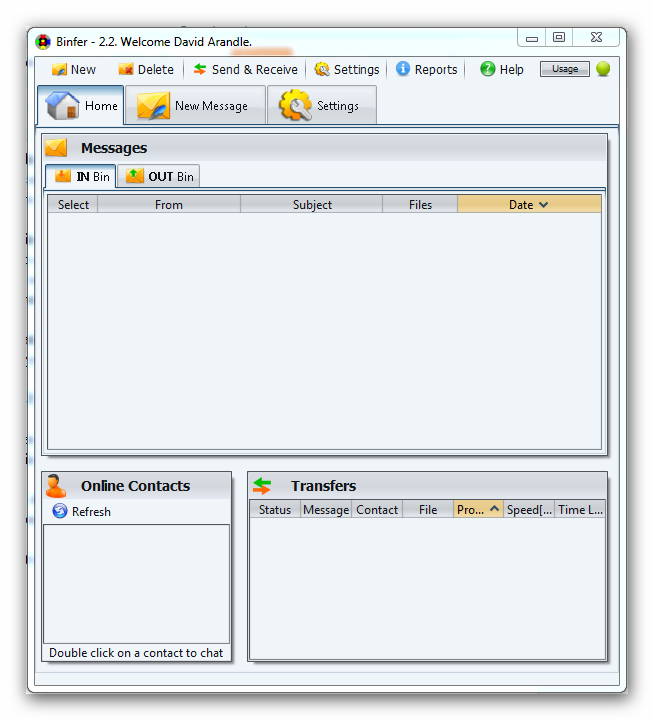 Binfer does the job of file transfers using the familiar process of sending a message. There's no need to mess around with FTP software, get server settings or spend ages looking around for a file sharing service that can handle large files. Almost anyone should be able to set the software up and start transferring files within minutes. The interface can be customized with various skins if you like your software color scheme to match your desktop etc. You are also given the code to embed Binfer's web drop form into any web site so you could set up a page for people to send files right on your site. The applications range of paid plans seems quite reasonable with plans to suit most levels of use including pay as you go and monthly options. If you have a need to transfer big files on a regular basis then Binfer could be just what you're looking for. Definitely an ideal tool for collaborators with a need to share a lot of files with a minimum of fuss. Pando is another alternative for this.User are allowed to transfer files upto 1 GB with Pando at free of cost.